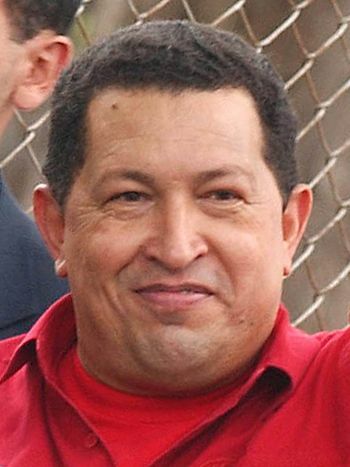 Following the typical historical pattern of socialist takeovers, the Venezuelan National Constituent Assembly (NCA) replaced the duly elected National Assembly on Friday, opening the ceremony with a speech from a Cuban communist guerrilla, followed by a speech reflecting a total disconnect from reality, and ending with giving the boot to a former Chavista who has in recent months become an embarrassment. The next order of business facing the NCA was ridding itself of a Chavista who in recent months had the temerity to suggest that Maduro’s decision to replace the country’s present national assembly with one populated by 545 of his own chosen people was unconstitutional. Luisa Ortega Díaz was appointed by the National Assembly back in 2007 to the position of prosecutor general. She helped then-president Hugo Chávez consolidate his power and was reappointed for another six-year term in 2014. But when Chávez’ successor, bus-driver-turned-tyrant Nicolás Maduro, ordered a special election to replace the national assembly with one of his own choosing, she started complaining. Ortega Díaz knew what was likely to happen by making waves, but when her daughter and grandson were kidnapped by Maduro’s people, it stiffened her resolve to oppose Maduro. A few days after the phony election that put in place Maduro’s NCA, she told the press, “If they remove me, I’ll keep fighting for human rights and democracy. I can’t permit my country to become a dictatorship.” Putting aside the enormous irony of that statement for the moment, the question of just how she intends to pursue that “fight” remains. The Supreme Court, following that hearing, placed a freeze on her personal assets, and ordered her to stay in the country while its investigation continued. On Saturday, hundreds of Maduro’s storm troopers surrounded Ortega Díaz’s office to keep her from entering. “My office has been taken over by public security forces, including national guards and policemen, between 400 and 500 troops. We still don’t know how many of our employees are inside. They’re not permitting us to go in, or anyone to go out,” she said. The attack comes because of the attitude I have assumed in defense of human rights and democracy. Because the government has committed serious violations, including arbitrary detentions, torture, cruel [and] inhumane treatment, the use of military justice to judge civilians and the planting of evidence…. We are just a tiny sample of what comes to anyone who dares to oppose the totalitarian way of governing. I will continue fighting for Venezuelans, for their liberties and rights, until my last breath. Translation: Maduro’s new NCA is planning on doing with what’s left of Venezuela’s private market what it has already done to its state-owned oil company. Thanks to politicians and Maduro cronies running PdVSA, the country’s energy producer is running at only about 30 percent of capacity. Ironically, the old National Assembly plans to meet on Monday in the same building as Maduro’s new illegitimate one — separated by an ornate cobblestone courtyard. That should make it easier for Maduro’s thugs to arrest them and add to the numbers of his opponents already jailed for political reasons. That’s how it works. A socialist revolution is built on the backs of willing traitors and useful idiots, and then turns on those who assisted its ascension to power. This is a lesson from history that Luisa Ortega Díaz is just now learning. This entry was posted	on Tuesday, August 8th, 2017 at 5:43 am	and is filed under Uncategorized. You can follow any responses to this entry through the RSS 2.0 feed. You can leave a response, or trackback from your own site.